Simple, stylish design makes this table perfect for any style garden. Entertaining guests and require extra space? The Caroline Table is the perfect size for social gatherings. The durable 1.6m wide top has ample space for homeware and drinks, plus room for 4 to 6 chairs, if dining. Pair together with additional pieces from the Caroline range, including the chair and benches. 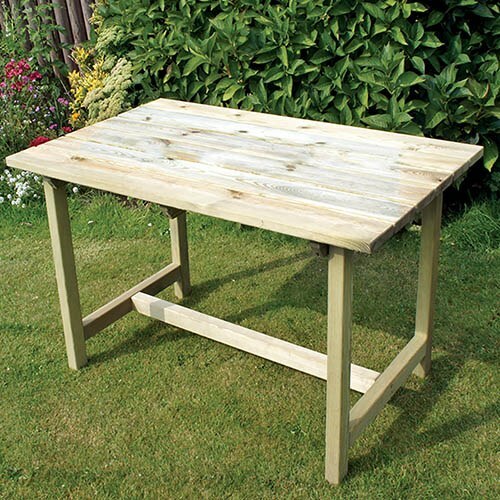 The Caroline Table is manufactured from high quality, pressure treated, FSC® Certified timber to last longer, and comes with 10-year guarantee against rot so you can be sure that this product will last and remain to be a beautiful feature in your garden. Dimensions: 1.60m x 0.76m x 0.74m, assembly required - This product is 2-person assembly.